But for those whose jobs take them away to more remote locations, accessing the corporate network or the internet often means a return to slow dial-up connections, or worse still, no access at all. With Tempest Telecom's Inmarsat BGAN service, you can set up a broadband mobile office in minutes – wherever you are on the planet. Delivered via the most advanced commercial communications satellites ever launched, Tempest Telecom provides a number of affordable plans, that provide mobile broadband services at speeds up to half a megabit in a highly compact, easy to use form. 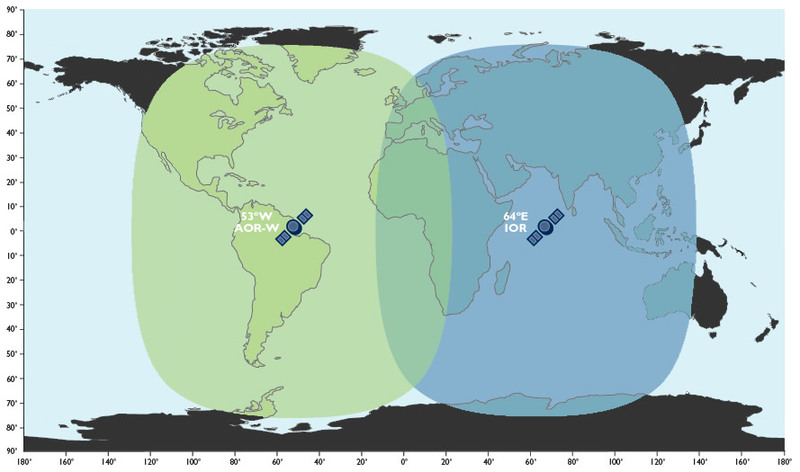 BGAN is accessible via a range of small, lightweight satellite terminals, which provide performance options to suit different operational needs. Standard terminals are highly portable and can be used both indoors and outdoors, being robust enough to withstand challenging environments and extremes of temperature. Vehicular systems comprise an interior, rack mountable terminal and discreet tracking antenna, which is mounted on the vehicle roof. The smallest standard terminals are designed to suit single users, for whom portability is a key consideration. The larger standard terminals offer a WLAN capability and are particularly suitable for small teams that need to establish a temporary office for an extended period. 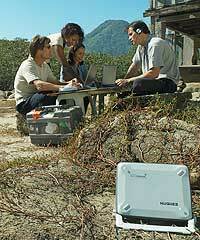 They are also suitable for users requiring higher bandwidth to enable applications such as live broadcasting. The service is accessed via BGAN LaunchPad, a software interface, which is standard across all BGAN terminals. To evaluate wether a Prepaid, Postpaid or Shared Service plan is best for you, one should first have an understanding of which services are available over a Bgan terminal. BGAN not only provides direct Internet access just like you would recieve via DSL or Cable Modem in a home office, it also supports the latest IP services and traditional circuit-switched voice and data. Bgan can also integrate seamlessly with your corporate network, it supports legacy applications while providing a smooth upgrade path to IP. There are terminals for single users and small teams, which can be connected to a laptop via a wired or wireless connection. 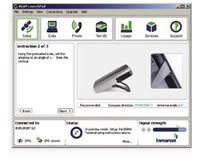 The user interface can also be customised according to your requirements. Direct access to the Internet to surf the web, send and receive email, securely connect to corporate networks using VPN and send large file attachments over a secure connection at speeds up to 492kbps. Internet access is billed on a per Megabyte basis. You only pay for the actual data sent or received. Make phone calls at the same time as accessing data applications via a standard desktop phone, wired ISDN phones or even wireless bluetooth handsets. Voice calls are billed on a per minute basis. ISDN is a paticular protocol (Integrated Services Digital Network) that is required by certain applications. ISDN service is billed on a per minute basis. Send and receive text messages via a laptop PC to or from any mobile phone, blackberry or even directly via the web. SMS service is billed on an outgoing per-message rate, with incomming SMS messages for free. Where quality is paramount, such as live video, select guaranteed data rates up to 256kbps. This allows broadcasters and journalist to produce broadcast quality reports from the field. You can also produce video confrencing via Bgan terminals in the field using a variety of 3rd party products. Streaming Service is billed on a per minute basis based on the service level required. There are a variety of postpaid plans that differ based on their monthly subscription fee, with lower usage rates with a higher commitment. Tempest Telecom's prepaid service is ideal for customers that are either trying to control users to a budget, or using terminals in a shared environment where multiple individuals will share equipment, but pay for their own access. With the prepaid plan, customers activate a SIM card for a terminal, and prepay MBs that allow the internet access through the terminal. From an enduser standpoint, they will synch the terminal with the satellite first, then connect to the Internet. When the connection attempt is made, the user's web browser will prompt them to enter a PIN number. Once entered the user will gain access to the internet to surf the web, use email or any other application. A window will show how many Megabytes remain on the user's account. Additional Megabytes can be purchased and added to the account at anytime by either the owner of the terminal or the individual. Users can use their Megabytes on any Bgan or Rbgan terminal that is activated for prepaid service. SIM cards can be activated with only internet access available or with all other service such as voice and streaming active. These services will be charged to the SIM card owner at the same rate as the postpaid plan. We can offer a number of large volume Prepaid bulk service plans for high volume or specialized applications. Contact us and let us know what your requirements are and we can provide you with a competitive quote.